Planters are effective as they act as a low barrier and help keep your visitors on the proper and safe path into your building as well as provide a little bit of welcoming greenery and color. There are numerous plants – creeping Jenny, Santa Barbara Daisy and Berkeley Sedge to name a few – that will get into every nook and cranny of your steps and can withstand the constant abuse of being on a footpath. It’s an interesting and somewhat rustic look. No doubt, this type of stairway will keep you or your gardener busy but using a small hedge as the riser of the stairway makes for a decidedly dramatic statement. For more information on these and other commercial landscaping tips, please visit us at OutdoorExpressions.net. Outdoor Expressions – Make your outdoor space a place to remember. 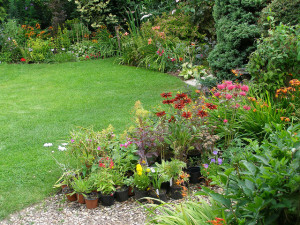 People love variety and having a lot of different plants scattered about your property makes it more interesting. Good landscaping is not all about flowers. The right combination of shrubs and trees can make all the difference when it comes to highlighting your lawn and your home. A few well-placed boulders as well as smaller stones as accents can make your outdoor décor. Use it sparingly to highlight a particular plant. As necessary as it is, the driveway into most homes can be relatively boring. A set of planters can add real value to one of the most viewed pieces of your property. 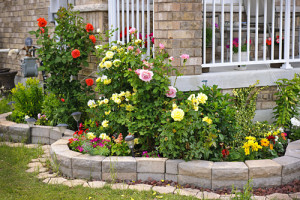 For more information on this landscape maintenance topic, please visit us online at OutdoorExpressions.net. Removing the last of the dead leaves and as many of the new weeds as possible can significantly update the look of a fall garden. Also, add some mulch or crushed stone to tidy up any of those bare looking areas. Autumn is the ideal time to bring those potted summer plants indoors and place some hardier ones in their place. Verbena, Sedum and Lamb’s Ear are just three of the plants that tolerate the cooler temperatures of the fall season and can add color and texture to your outdoor spaces. Late autumn is also the best time to transplant shrubs and trees. 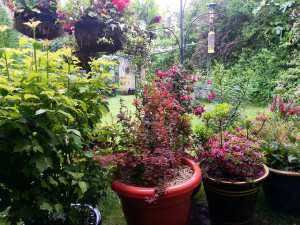 Add some to gain a little height in the garden and create a layered effect. For more information on these and other autumn gardening tips, please visit us online at OutdoorExpressions.net or phone us directly at 888-210-1116. Outdoor Expressions – Making your outdoor space a place to remember. Fertilize for the Winter – A week or so after you mow your lawn for the last time, it is time to do add a good slow-release fertilizer to keep the lawn fed during the coming months. It’s best to use the granular variety as opposed to the liquid ones as they last longer and release nutrients more slowly. Aerate and Seed – The winter season is hard on all plants including weeds so it’s the ideal time to spread new lawn lawn seeds and let them gain a foothold. Aerating your lawn is also good idea as there will be a lot of ground cover in the coming months. 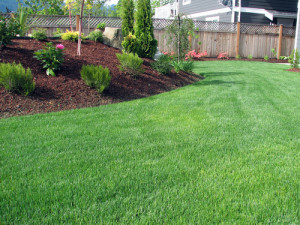 For more information on lawn care needs in the fall or if you are in search of a commercial landscaping firm in Atlanta, please contact us at OutdoorExpressions.net or phone us directly at 888-210-1116. While the cooler weather makes it a great time for the planter to get some things done, it is also necessary for the plants themselves. 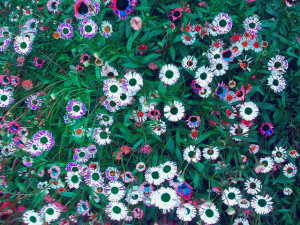 Annuals require a cold spell in the ground to properly set their internal timing for the spring. Now is the time to divide those perennials and conquer the bare spots in your landscape. Late November is really the last opportunity to move your trees around without significantly risking their overall well-being. Also, especially if its cold, do not skimp on doing the proper “groundwork” when transplanting your trees. For more information on these and other landscape maintenance topics, please visit us online at OutdoorExpressions.net or phone us directly at 888-210-1116 with any questions. Plant Your Bulbs – There are a whole host of plants including camellias, tulips and lilies that need to be planted now so that they can “overwinter”in the ground in preparation for blooming in the Spring. Divide your Perennials – What gardener doesn’t love free flowers? Now is the time to double your inventory by cutting your perennials in half and planting some in a new area. Service Your Mower – While you won’t need your lawn mower anymore this year, your mower will definitely benefit from having the gas drained, an oil change and a thorough cleaning. For more information on this topic or if you are looking for a commercial landscaping firm in Atlanta, please visit us online at OutdoorExpressions.net or phone us directly at 888-210-1116.